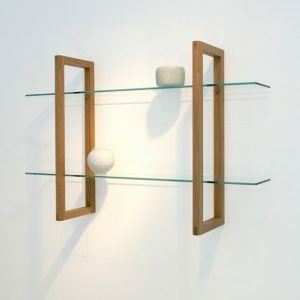 Description: These simple elegant shelves have been one of our most popular designs. 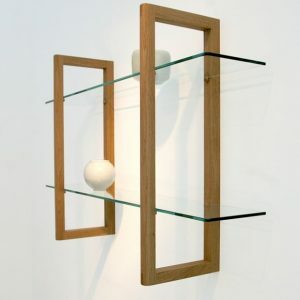 The two frames are constructed using bridal joints. 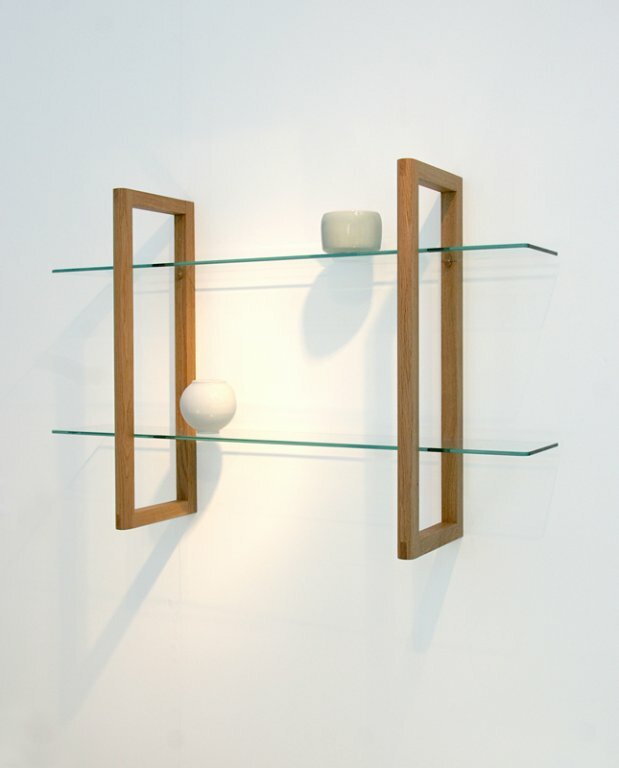 Each shelf rests on short wooden pegs giving the illusion of them floating in the frames. 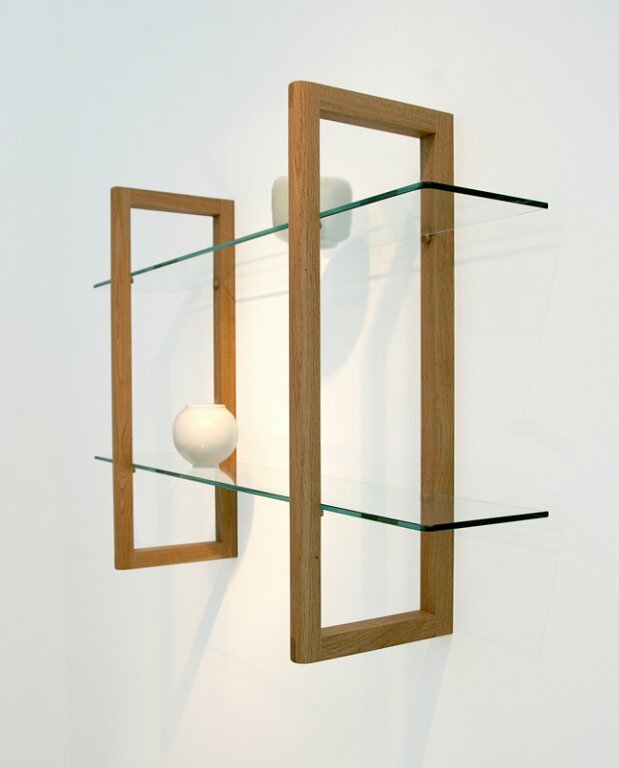 They are designed to feel light and airy and to display what is put on them in style. They are easily put up and are shipped with full instructions and a stubby screwdriver to make life easy. 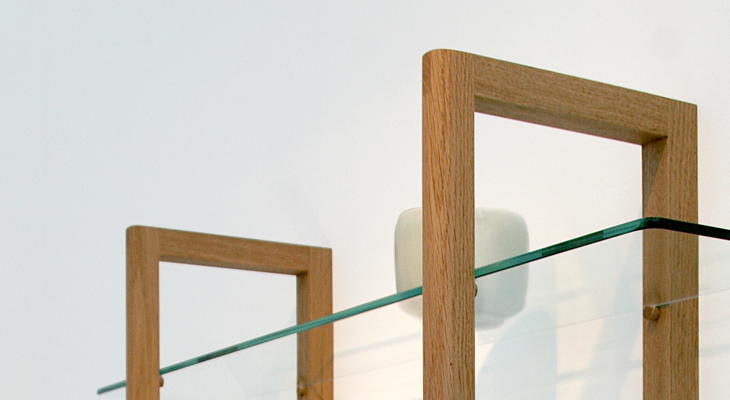 Materials: Solid FSC oak and toughened glass. Price: £325 including delivery within the UK.